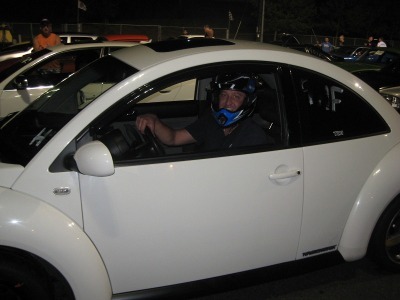 Just one week before the races, Richard from Portland Oregon rebuilt his New Beetle TDI engine and at least tripled the factory 90 horsepower output. 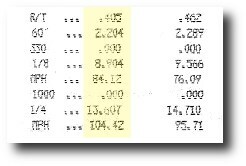 The result is an impressive 13.607 @ 104.42 MPH (driven by Matt Davis) at Portland International Raceway. Next to the beetle is a 2006 Jetta TDI driven by Sarah Boyd aka “Jetta Girl”. The Jetta is running a wastegated Garrett turbo and it put down 200whp on a dyno.